If you live out in the country or in a small community, a tent can be the perfect solution to your personal or business needs. 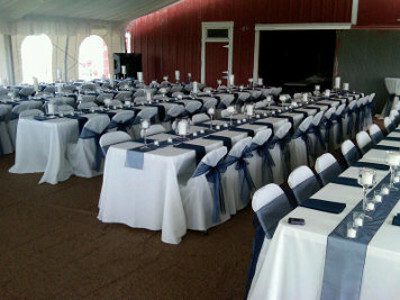 Our tents can provide an alternative venue for a wedding reception or family celebrations. An acreage or farm allows the flexiblity to set tents of varying sizes from a small frame tent to tents large enough to cover a football field. 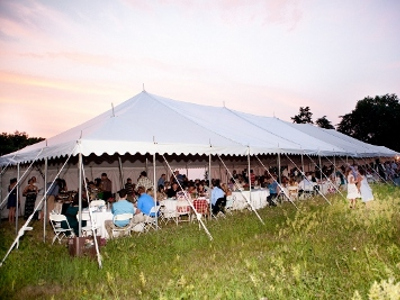 Businesses use tents for many corporate events. Renting a commercial tent can provide a perfect location for a company picnic, a major sale, or even allow for construction work by heating an area before it is warm enough to pour concrete in the spring. Large clear span tent allowed for winter construction work.